Rejuvenating brightening cleanser for brighter and smoother skin. You will earn 32 LuxePoints! The Best Brightening Cleanser for Brighter, Smoother Skin! 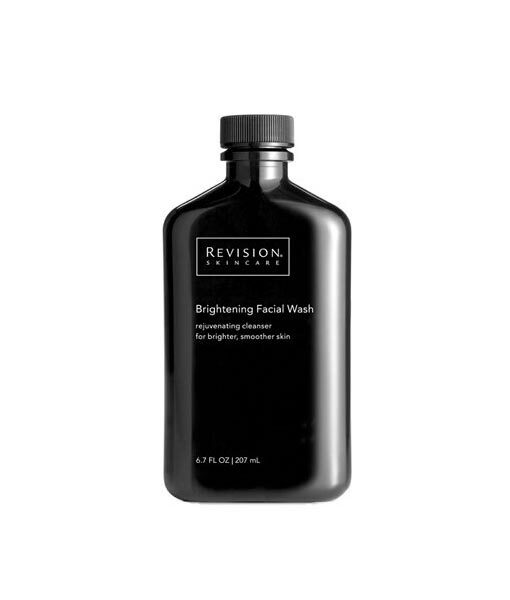 The Revision Skincare Brightening Facial Wash is a powerhouse cleanser! It removes dirt, oil, and makeup to gently exfoliate the skin and naturally brighten your complexion. This ultra-rich brightening cleanser contains glycolic acid, and salicylic acid which gently exfoliates the skin, removes dead surface cells and lifts away makeup, debris and impurities, leaving the skin feeling clean, smooth and primed, enabling better penetration of your other anti-aging skin care products. Suitable for all skin types, except dry or sensitive. This cleanser is also great for after you healed from skin treatments such as Chemical Peels, and Fotofacials as it can help extend the benefits of those treatments. Which skin types should use this cleanser? Brightening Facial Wash can be used by most skin types, including normal, mature, pigmented, acne-prone, combination and oily skin. Those with sensitive skin should use caution as this cleanser does contain Glycolic Acid and Salicylic Acid, which can be irritating to sensitive skin. It should not be used to remove eye makeup. Which ingredients in the Brightening Cleanser are used to brighten the skin? Glycolic Acid and Salicylic Acid help to brighten the skin through surface exfoliation. The brightening cleanser also naturally brightens the skin with Vitamin C (Magnesium Ascorbyl Phosphate), Licorice and Lily Extract. What are the cleansing agents in Brightening Facial Wash? Cocamidopropyl Betaine, derived from Coconut, and Sucrose Laurate are the main cleansing agents or surfactants in Brightening Facial Wash. They are both gentle and suitable for most skin types. Why is it important to use a cleanser with exfoliants? Exfoliation removes dead and dehydrated cells from the surface of the skin, brightening and smoothing it and enabling better penetration of other anti-aging products. Does Revision Skincare have other exfoliating cleansers? Yes. 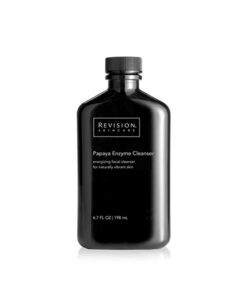 Revision Skincare also offers the Papaya Enzyme Cleanser, which is more suitable for sensitive, dry skin types. What Spa Treatments do you recommend for patients with hyperpigmentation and discoloration? At Rejuvent Medical Spa in Scottsdale, we recommend Chemical Peels, and FotoFacial IPL. These treatments can resurface the skin, fade pigmentation, brighten the skin and improve skin texture, discoloration, red and brown spots. After these treatments, while your skin heals, you should use a gentle cleanser to avoid irritation from the glycolic and salycilic acids. Use twice daily, in the morning and evening. Wet face with tepid water. Dispense a nickel-sized amount into palm of the hand. Lather in hands. Using fingertips, gently massage onto face using circular motions. Avoid eye area. Rinse thoroughly and pat skin dry. Contains acids, which may make the skin more sensitive to the sun. 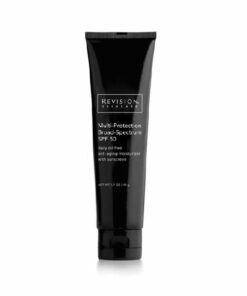 Use a broad-spectrum sunscreen when using this product. 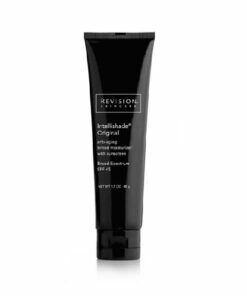 We recommend the use of Multi-Protection Broad-Spectrum SPF 50 or Intellishade®.